When it comes to global recognition, none can quite match up to bet365. The bookie ventured online in 2001, and ever since they’ve enjoyed an exponential rise in popularity – amassing a loyal following in the process. While every punter has most likely heard of this UK-based giant, not as many have explored it in its entirety. Now that bet365 has ventured onto the Australian market, we have a good reason to do so. Popularity doesn’t always translate to good service, which is why we’re about to see how this bookie’s offering measures up to long-established competitors. Bet365 doesn't offer classic welcome bonuses, but the bookmaker has an amazing range of promotions. You participate in daily promotions for racing, soccer of other sports. We highly recommend to take a look even if there is no classic bonus on the first deposit. Bet365 began as a Stoke-based UK bookmaker which initially offered betting services via shops around the country. Right at the turn of our century, with Denise Coates at the helm of the company, Bet365 turned its eyes towards the online market. Bet365’s online venture certainly paid off, as today they are one of the largest and most respected online bookmakers in the world. In 2015, their reported revenue was £1.5 billion. They have also widened their products by including an online casino, poker rooms and live dealer casino games. The bookie turned its attention to Australia in 2012, and began servicing Australian punters with a license issued by the Northern Territory Government. This is a full list of interesting promotions coming from bet365. For the bet365 Protest, the Win and Place dividends will be calculated using the final declared dividend displayed on each TABs website. For Trifectas, Quinellas, Exactas and First 4, the dividends of the upheld result will be calculated using the interim dividend displayed on each TABs website. The bet365 Protest Promise applies to all (Fixed and Tote) Win and Place single and multi bets, In-Play bets, Trifectas, Quinellas, Exactas, First 4, Forecasts and Tricasts. It does not apply to multi-Leg Exotics, including the following bet types: Daily Doubles, Trebles, Quadrellas. The offer also does not apply to Futures or Ante-Post betting. In the event of a scratching, deductions may apply should the Fixed Odds or State Official Price (SOP)/Official Price (in the absence of an SOP) supplied by Dynamic Odds be the highest final price. Dead-Heat rules apply. For selected Metropolitan race meetings the Best Fluc market will be offered – guaranteeing that you are paid out at the highest fluctuation of the State Official Price (SOP) as supplied by Dynamic Odds or other Official Price (in the absence of an SOP) as supplied by Dynamic Odds during the entire betting period. Where available, this will be displayed as BF in the Fluc column of the race coupon until the first fixed odds price call comes through, approximately 30 minutes prior to the start of the race. bet365 will offer Best Fluctuation betting on selected events. Best Fluctuation bets will be paid out at the highest fluctuation of the State Official Price (SOP) as supplied by Dynamic Odds or other Official Price (in the absence of an SOP) as supplied by Dynamic Odds. Best Fluctuation betting will be available until the first fixed odds price call comes through, approximately 30 minutes prior to the advertised start time of the race. bet365 reserves the right to close or suspend Best Fluctuation betting at any time. Best Fluctuation betting is Win Only. If an Each-Way Best Fluctuation bet is requested it will have the Place portion placed at the tote derivative market available for that meeting. The maximum payout for a Best Fluctuation bet is 20,000 AUD. Where a Best Fluctuation bet is placed that would return more than 20,000 AUD then the amount of the original stake that returns in excess of 20,000 AUD will be placed at the State Official Price (SOP) or other Official Price (in the absence of an SOP) supplied by Dynamic Odds. If you select Tote Win, we will compare the State Official Price (SOP) or Official Price (in the absence of an SOP) supplied by Dynamic Odds and the final declared Win dividends over the three national Totes – and pay you out at whichever is greatest. For example, if NSW TAB pays $10.00 on your selection, SuperTAB pays $9.00, UBET pays $7.50 and the SOP pays $9.50, you will get paid at $10.00! 365 Best applies for all final field betting, on all Metropolitan and selected non-Metro Horse Racing. We also offer Fixed Prices on all Australian Horse Racing, for more information please see our Official Price Guarantee page. 365 Best will be offered on all Metropolitan and selected non-Metro Australian Horse Racing. For 365 Best races the following national Tote/TAB prices will be used: NSW TAB, SuperTAB, UBET. For Tote Win bets, we will pay out at the best available price from either the State Official Price (SOP)/Official Price (in the absence of an SOP) supplied by Dynamic Odds or the best final declared Win dividend from the three Australian TABs (where available). 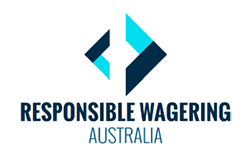 For example, if NSW TAB pays $10.00 on your selection, SuperTAB pays $9.00, UBET pays $7.50 and the SOP pays $9.50, you will get paid at $10.00. We offer 365 Tote on all non-Metro Horse Racing (except at meetings where 365 Best is offered). 365 Tote applies for all final field betting, on all non-Metro Horse Racing (except at meetings where 365 Best is offered). 365 Tote will be offered on all non-Metro Australian Horse Racing (except at meetings where 365 Best is offered). For 365 Tote races the following national Tote/TAB prices will be used: NSW TAB, SuperTAB, UBET. Have an Each-Way First Goalscorer bet on any match, and be safe in the knowledge that if your player scores at any time during the game we will pay you out! Each-Way bets are settled on all goalscorers at 1/3 odds for unlimited places in 90 minutes play. Each-Way First Goalscorer Betting – We pay 1/3 odds for unlimited places in 90 minutes play. Fixed Win Guarantee is an exclusive promo available on all Australian Horse Racing events. When selecting a Fixed Win, if the starting price issued by the VOP (Victorian Official Price) or APN (Australian Prices Network) is greater than that of Bet365’s, the bookie will payout using the greater odds taken from VOP or APN. Available on select Metropolitan Horse Racing event, Bet365 offers the Best Fluc market issued by the VOP or APN while the event is still ongoing. If you have placed an each-way first goalscorer bet on a soccer match, Bet365 will pay out if your selected player scores at any time at 1/3 of the market odds. A major reason for Bet365’s success is that they went after the online market with everything they have. However, don’t be fooled in thinking that the bookie’s remarkable betting offer didn’t play an even bigger part in their rise to the top. The bookie offers one of the widest selection of sports. Their offer ranges from staples such as Soccer, Rugby, Tennis all the way up to eSports, Combat Sports, Table Tennis and even fringe markets such as political elections. You will certainly have your fun at Bet365 regardless if you’re a professional or casual punter. Racing punters can rejoice, as Bet365’s racing coverage is no less adequate. If a greyhound, harness or horse is running somewhere out there, rest assured the bookie will let you know. They cover almost all events and offer comprehensive markets as well as unique promos to enhance your winnings. If you are looking to bet on the move, Bet365 has you covered with apps for every device and platform out there. iOS users can grab ahold of the iPhone or iPad app over at the App Store, whereas Android users can resort to Bet365’s website for download instructions. Moreover, the bookie can be accessed directly via mobile web browsers – no download required. Bet365’s mobile apps feature the bookie’s full betting offer and myriad of promotions. You can also enable push notifications to be informed of the latest important events and promos. Live streaming is one of Bet365’s most unique aspects, and a convenience which competing bookmakers can’t brag to have. The bookie lets you watch hundreds of on-going sports events involving nearly all featured sports. Live streaming is free for all personal use, but you must have placed a bet in the last 24 hours to be eligible. Bet365 live streams are also available on mobiles and tablets. When it comes to available payment methods to Australian players, Bet365 is second to none. They offer more than 15 payment systems you can use to process your deposits and withdrawals. On average, the minimum deposit equals $10, but using flexepin and POLi you can deposit as low as $1 and $5, respectively. Minimum withdrawal is generally $20, with the exception of Skrill ($10). Bet365 charges no fees for withdrawals, excluding Bank Transfers. Keep in mind that not all deposit methods are also available for withdrawals. If the deposit method you used cannot be used for withdrawal, Bet365 will resort to sending money via Bank Wire. We recommend using e-wallets due to the 24-hour processing time for payouts. A big nuisance for many punters is the inevitable waiting time when your withdrawal is being processed, as even 24 hours is not fast enough for many. Bet365 completely alleviates this issue for all Bet365 VISA Card holders. Head over to the Members area situated within the Services tab where you will have instructions to apply. The prerequisites are that you are a resident of Australia with a verified ID and correct living address. If you are eligible, the card will be shipped to you within 10 days, after which all that’s left for you is to activate it on Bet365’s website. Your Bet365 VISA will function just like any other prepaid card. You can use it to withdraw your cash at an ATM and perform online purchases. The card has a daily ATM withdrawal limit of $1000, and it can hold up to $70,000 at any time. You will not be charged for your first card, but replacements cost $5. Directly deposited cash is not immediately withdrawable to your VISA card. Instead, the cash made from settled/won bets is yours to withdraw at any time. As was expected of a bookmaker with such a high standing in the industry, Bet365 offers a premium betting experience like no other. Punters may hold reservations when it comes to brands of this size and influence, but the truth is that Bet365 never fails to deliver what’s expected of them. Their promotions’ lineup is unrivaled on the Australian market, while everything else is right up to par with competitors. Regardless if you are into racing or sports, Bet365 is the place to be. Does bet365 offer Live Streaming? bet365 offers it's customers a live streaming service for a number of sports including soccer and tennis. It's not a free service, in that you must have placed a bet in the previous 24 hours or have a funded account, but it's a remarkably strong product to offer Aussie punters. bet365 does offer PayPal as a payment method for depositing and withdrawing, however, it also offers at least 14 other different methods from e-wallets to debit and credit cards too. All methods have decent limits and deposit/withdrawal times. Is bet365 the best Aussie online betting site? With a huge array of sports, the most markets to bet on, secure and safe payment methods such as PayPal and amazing product features such as live streaming, we're happy to say that bet365 are one of, if not the, best online betting sites in Australia. Can I use bet365 in Australia? Yes, bet365 has obtained an Australia betting license from the Northern Territory, which grants them the full right to entertain Australian punters. Should there be any changes, we're going to update the information provided in this bet365 Australia review. What's the bet365 Australia contact number? For the sake of accuracy, it's best if you find the bet365 Australia contact phone number by visiting the website. It is subject to change, which is why we're going to refrain from giving you any potentially misleading information. Bet365 withdrawals did not meet expectations! I erred transposing two numbers in my bsb which caused the withdrawal to take almost 2 weeks! If you do sign up be sure to set up withdrawal immediately, to make sure it’ll go smoothly when you need it.